That's right! We said "Tails" of the Month! The time has come to announce the TWO NEW Tails of the Month! That is right, we are giving you TWO tails for the month of November. 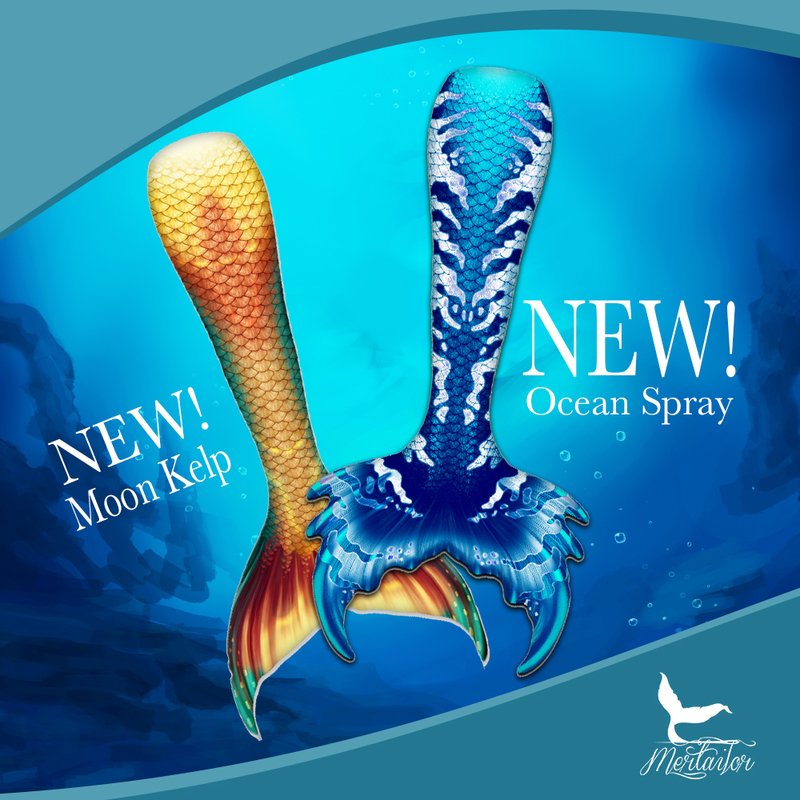 Welcome Moon Kelp & Ocean Spray to the Whimsy Tail Skin Collection. Which one will you be choosing? Swim on over to https://bit.ly/2OSQY6L and get yours now! From November 2nd-November 4th, use coupon code: MEN20 in your Shopping Cart to receive 20% Off your next swimwear purchase. This is the perfect time to add to your collection. 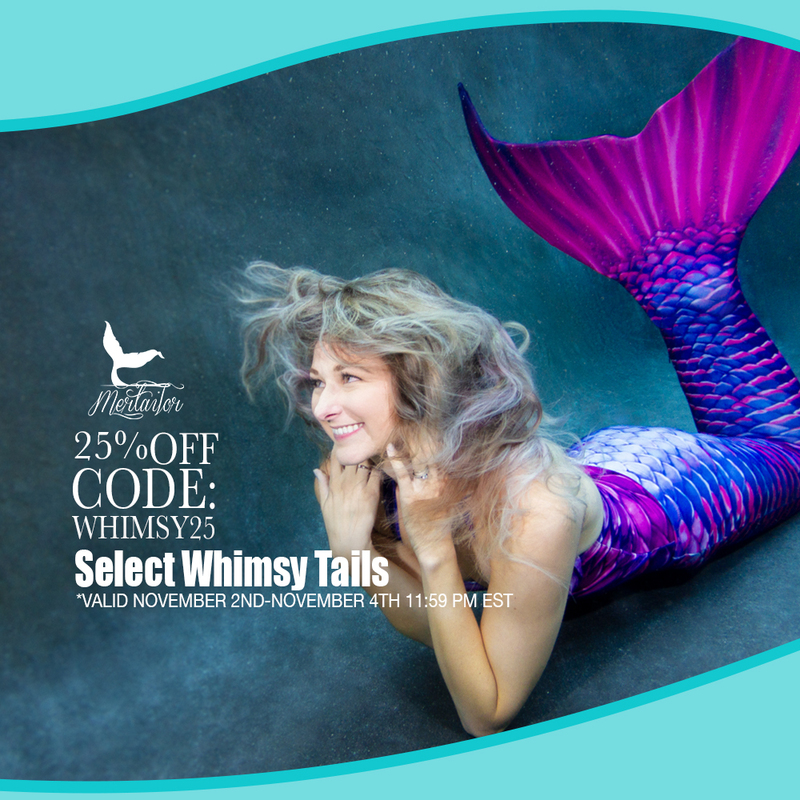 We want to say thank you this weekend by giving you the chance to receive 25% Off Select Whimsy Tail Skins! Use Code WHIMSY25 in your Cart. Offer Valid November 2nd-4th 11:59 PM EST. Includes: Caribbean Dream, Key Largo, Condy Anemone, Red Sea, Black Pearl, Splish Splash, Aqua Fairy, and Parrot Bay. Don't Miss Out on This One Time Offer! The time has come for my to reveal the BIG NEWS! Introducing the Fantasea Fin “Too”, well, because it’s the Fantasea Fin too, you know. Available in a vbariety of awesome colors. Each fin is hand poured by two people at the same time to achieve this tie dye effect, which means each fin is going to be a little unique! The Fantasea Fin “Too” is in fact larger than the Original Fantasea Fin. You asked for it, you got it baby. Due to the complexity of color and increase in size, you can grab your this beautiful fin on our website for $235! ALSO! Release The Kraken! Introducing the FIRST Fantasea Whimsy Tail Skin for the Fantasea Fin “Too”’! You can grab your new, matching Tail Skin for $285! Thanks so much for everyone’s love and support, you’re all amazing! Don’t let anyone tell you differently! 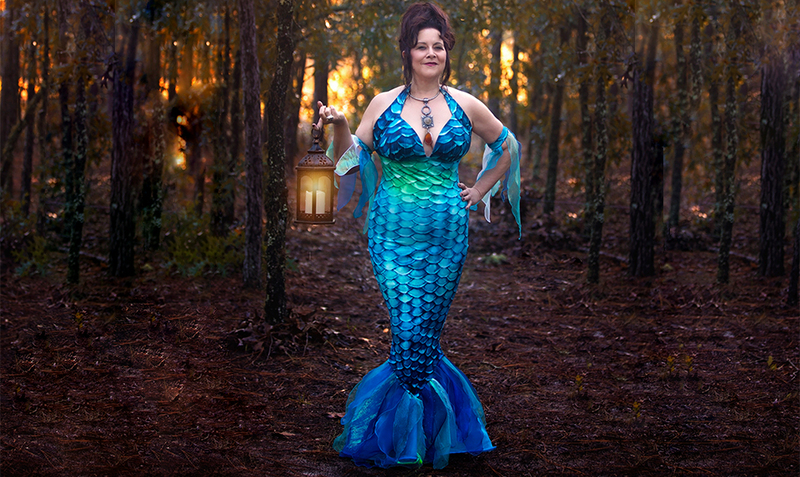 Tantalize King Triton at your next Mermaid Gala with our alluring Mermaid Dress. Enjoy a sophisticated look or sass it up in this in this luxuriously comfortable dress contoured to follow you shapely curves. Enjoy the soft silky feel of the spandex blend fabric that allows complete freedom of moment as your enjoy your land legs hidden by the vibrant hand designed scales reminiscent of the scales of the sea tail. Halter style top with wide comfortable straps and finished on the bottom with chiffon "seaweed" in complimentary colors. Available in three colors, choose your cup and dress size for the perfect fit. Get Yours Today! Shop Now! Just something I'd like to mention to all of you if you didn't know already! Our products are made in the USA (With the exception of our $5 closeout Abyss Collection of men's swimsuits from 2016). The Abyss Collection was our first and last line of product(s) purchased overseas. I decided that I wanted Mertailor to be "American Made" and support my community. Our product lines are made in our studio, right here in Crystal River, FL, not a factory in any other state or country. We operate and manufacture in-house. Many of our products have a 5-7 day production time as we normally make to order and not trying to "overstock" our product lines like other companies do when they order in quanities over seas. Our motto is QOQ, "Quality Over Quantity". Our entire team of talented individuals are creating everything from start to finish. This includes the beginning design of the product lines, pattern making and the graduation of patterns, printing and transferring of all the various fabrics we use including spandex, neoprene, and minky fabrics, cutting and sewing of the garments, quality control, and packaging and fullfillment. However, that's just the half of it! Let's not forget the customer service and management side of things! It takes a TON of energy to make Mertailor operate on the daily basis. While this may not mean much to some of you, this takes time, money, and a lot of energy. Not to mention, we truly care about all of our customers and the quality and service we can deliver to them. 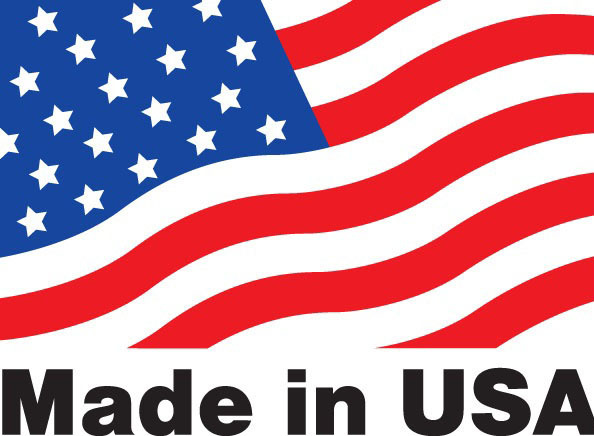 Many of the the raw materials that we purchase to make our products are also manufactured in the United States, which also increases the bottom line of our products. However, there's much more control of quality this way. When a company purchases from overseas factories, you can run into "fishy" situations such as improper sizing, coloring, wrong materials, unsafe materials, etc. And guess what the best part is? The company can be OUT THOUSANDS of HUNDREDS of dollars without any recourse to the factory that they purchased from. It's unfortunate that overseas factories have abused their labor forces to make a "quick buck" and spoiled so many individuals all over the world due to cheap labor and cheap "knock-off" products. Sure, we could manufacture our products overseas and shutdown our manufacturing facilities to transform them into large stock warehouses, but that is not how we roll. In a nutshell, we aren't a factory in China paying $0.50-$1.00 per hour (Average Chinese factory workers make $285 per month) to our employees or making them work in unfair or unrealistic conditions. There's plenty of other companies that you can purchase from who support this clause, if that's what you're looking for. There's a few that come to mind right away.... If you're looking for a cheap product, you might as well look elsewhere, because we aren't serving that. While we understand budgets and circumstantial situations, if you truly want something badly enough, you can save up for it. However, we live in a "got-to-have-it-now" world, which we are all guilty of. We are thankful that we are able to purchase American made and employ hard-working individuals right here in the Sunshine State. We hope you can appreciate that as well. 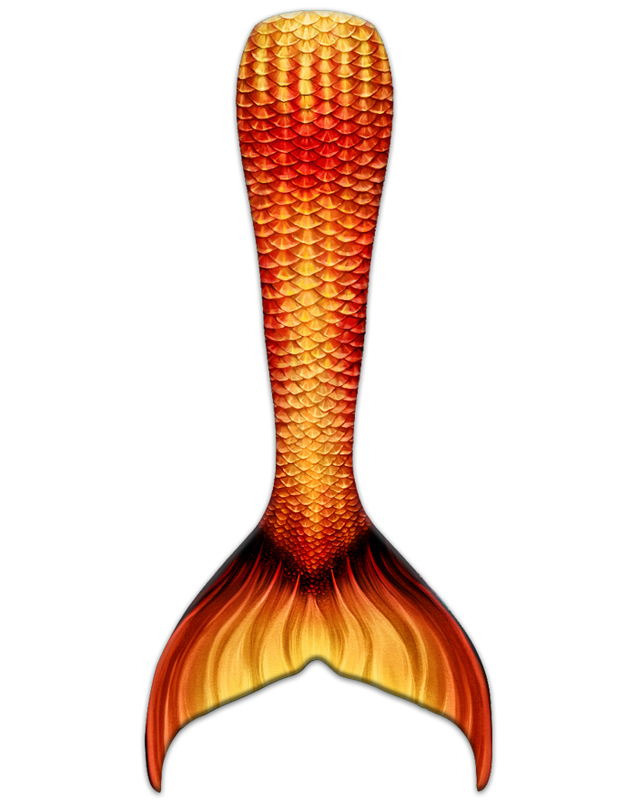 I’ve gotten several requests and suggestions that Mertailor should produce a sequin tail or a tail with individual sequin type scales. My answer is simply “NO”. In my professional opinion, there’s nothing “eco” friendly about sequin or plastic scaled mermaid tails whatsoever. While these mermaid tails might look pretty, they aren’t practical for underwater use in natural environments. Mermaid tails, tops, and accessories with individual sequins “shed their scales”, will fall straight to the bottom of the ocean, lake, or freshwater spring. Regardless, if the sequin or plastic pieces are made from recycled plastics, the “scales” will still fall off, not solving the "eco-friendly" part. Even if you were about to create a biodegradable sequin scale (Let's not even suggest sugar. Goodness knows Florida is having its own politics about sugar), would you want to see them laying around all over the ocean floor for years before it disintegrated? Take it from someone who has seen this first hand. My history of working as a costume designer for the Mermaids of Weeki Wachee, had me creating many garments with sequins on them. I can't tell you how many sequins and beads have fallen behind the stage top over the years that just sit there! If you’ve ever dove Weeki Wachee Springs, you know what I’m talking about. Years ago I use to train mermaids to swim in aquariums. These venues would not allow sequin mermaid tails, tops, or beaded accessories of any kind. Management and zooologists feared the animals in the aquariums would swallow and choke on the prices. Did you know that a airline recently banned mermaid tails from traveling with sequins or individual plastic scales on them? 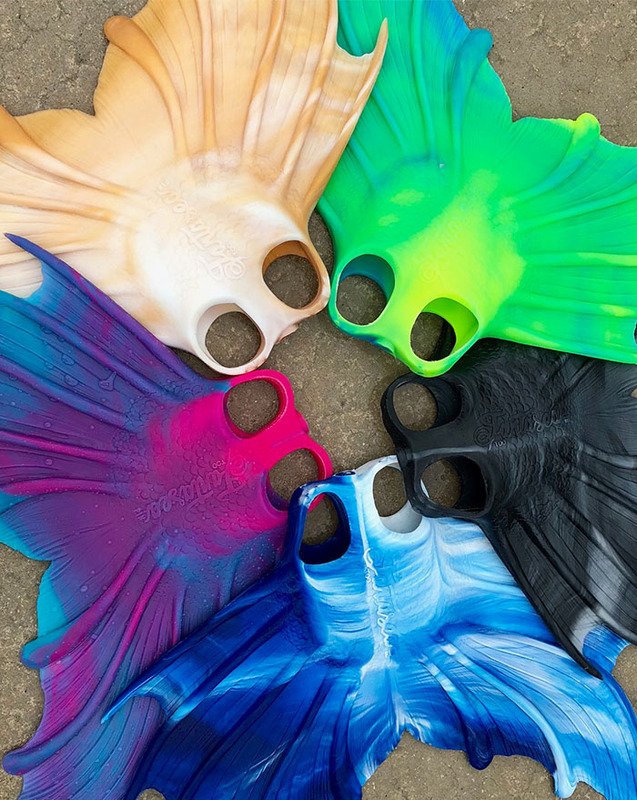 If you wanted to have one of these mermaid tails for “dry” performances or on-land photoshoots, that’s a different story, but I personally wouldn’t be swimming in them. Not in the ocean, lake, river, aquarium or freshwater spring. I’m sure many individuals will not agree with my point of view, but it’s true and you know it. Please understand I’m not saying not to use these mermaid tails, but to think about where you use them! 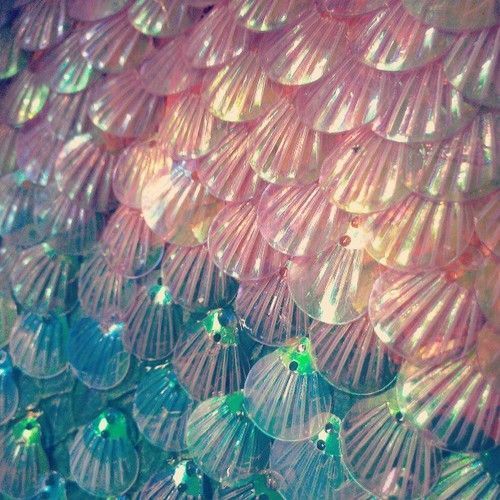 These mermaid tails should be used in a controlled environment such as a swimming pool or studio photo shoot! Not 30,000 leagues under the sea or your next beach outing! I’m not perfect and I’m sure I’ve made a few things in my career that I could have constructed better, but we live and we learn. 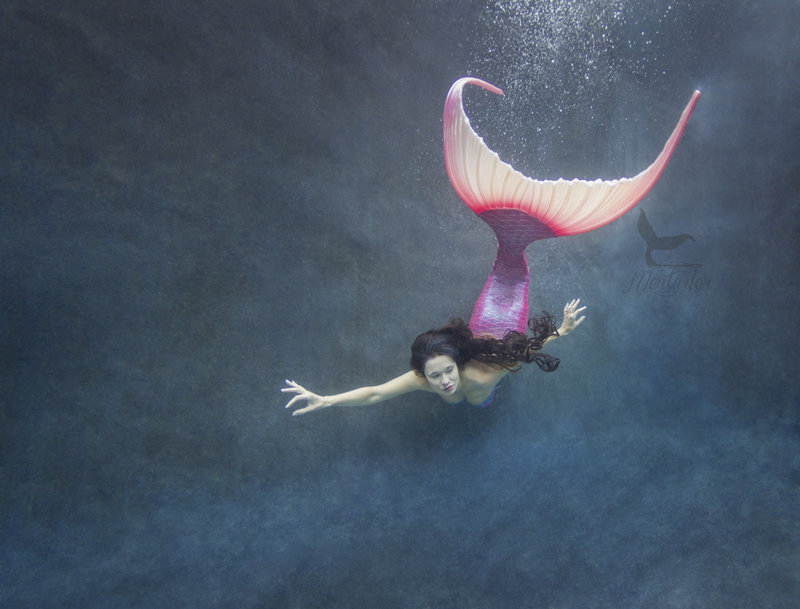 With that said, our mermaid and merman tails are made from silicone rubber, spandex, and neoprene materials. Our scales will not fall off our our tails! No scale shedding to see here. Thanks for reading and consider this! Enjoy the Crème de la Crème and revel in the comfort and beauty of our new wondrous Mertailor Whismy Fantasea Tail skin. You will absolutely fall in love with the soft silky feel of the cushy luxurious Scuba knit material and be mesmerized by the brilliance of colors that practically glow as you glide through the water. A breeze to slip in and out of, this tail skin has a snug 1” wide spandex waistband that will stay in place while swimming. Made from 1mm thick poly spandex nylon knit fabric with a durable water repellant coating, this is the perfect tail solution for any water or posing experience. The dye sublimated print ensures long lasting color. Made to fit the Mertailor Fantasea fin, tail skin has a side zipper at the fluke to allow for ease of insertion of your Fantasea fin. Comfort plus comfort…and beautiful to boot! It doesn’t get much better than this! Featuring our new collection for spring/summer 2018!